Machinery manufacturer Manitou has produced its 1000th MLT NewAg agriculture telehandler just 8 months after launch. The Manitour MLT NewAg range includes ten telescopic forklifts with lifting capabilities between 3 and 4.1 tonnes, and lift heights of 6 to 9 metres. Designed for performance, comfort and affordability, with the MLT NewAg range among the lowest on the market for Total Cost of Ownership (TCO), the MLT NewAg telehandler range features ten models. Showcasing the MLT NewAg range at the European agriculture shows, the NewAg range garnered strong interest from clients by the time of its end-of-year launch says Manitou. The MLT NewAg range includes ten telescopic forklifts with lifting capabilities between 3 and 4.1 tonnes, and lift heights of 6 to 9 metres. Under the NewAg series bonnets are Deutz 4-cylinder engines ranging from 101hp to 126hp which Manitou says saves up to five percent in fuel consumption. Thanks to the NewAg one-piece windscreen and roof structure, operators are offered 360 degree visibility giving a clear view of the load regardless of its position. LED lights are also available, as is a filtered cab thanks to the NewAg’s dual cab filters and adjustable air vents. Manitou also offer two different on-board screens styles, the Harmony screen or the Vision screen which indicate the usual speed, time, and fuel levels. Manitou produced its 1000th MLT NewAg agriculture telehandler just eight months after being launched. The MLT NewAg range is also compatible with Manitou’s Easy Manager online solution to optimize operational monitoring of the machines. Manitou has also recently launched the Easy Manager mobile application, which allows users to manage, optimise and secure their machines and fleet directly and remotely from their smartphone, this provides easier access to important information on the machine. 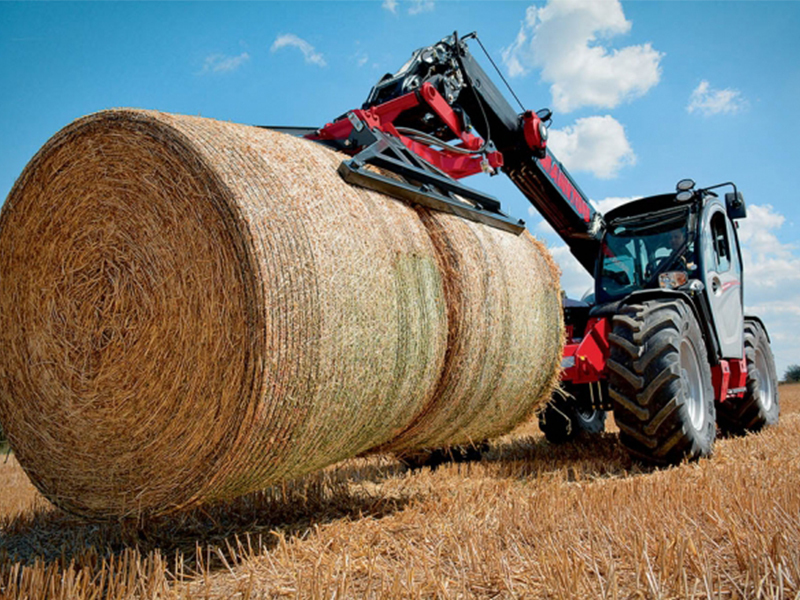 Manitou also provide an extensive range of attachments for the NewAg range such as the silage facer bucket, the big bag handler, the agricultural bucket, the sweeper cleaner and the many bale clamp attachments which all come equipped with Manitou’s Easy Connect System for efficient attachment changes. Three finishing packages are available for the MLT NewAG range, the classic, premium and elite finishes. 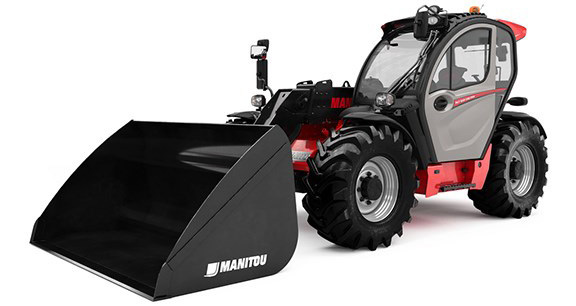 The Manitou Group product ranges include all-terrain fixed, rotating and heavy-duty telehandlers, all-terrain, semi industrial and industrial masted forklift trucks, wheeled or tracked skid-steer loaders, articulated loaders, access platforms, truck-mounted forklifts, warehousing equipment and attachments.